Golf cart salvage dealers provide opportunities for saving lots of money from front cowls to used tires. 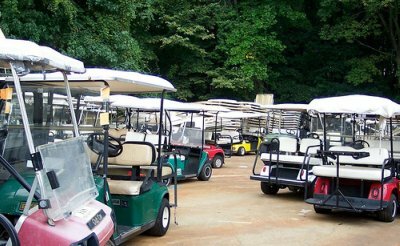 Used golf cart parts are readily available if you are willing to make a few phone calls and take a drive. Purchasing them is not as convenient as placing an order on line and having the parts delivered right to your front door. Depending on what part you are looking for, buying used can save you some serious money. I've replaced many parts on my 1987 Club car that have been used or reconditioned. One of my golf cart tires kept leaking and I finally got tired of fixing it. 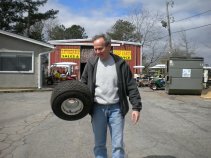 Instead of buying a new tire, I headed to one of our local golf cart dealers where they sold me a used golf cart tire. They checked it for leaks first and then mounted the rim. I walked away a happy camper. 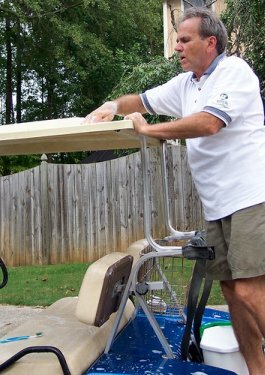 Buying my used golf cart top from a golf cart salvage dealer was the best route to go. The shipping for a golf cart roof from an on-line dealer is way too expensive AND buying new was way too expensive. Let me tell you, there is no shortage of used golf cart tops. The place I went to had stacks and stacks of them - now lots of them were cracked and I had to dig to find one that was in good shape. After bringing it home and installing it, a good cleaning was all it needed. The results were I had a new roof that didn't leak, looked like new and cost a lot less. 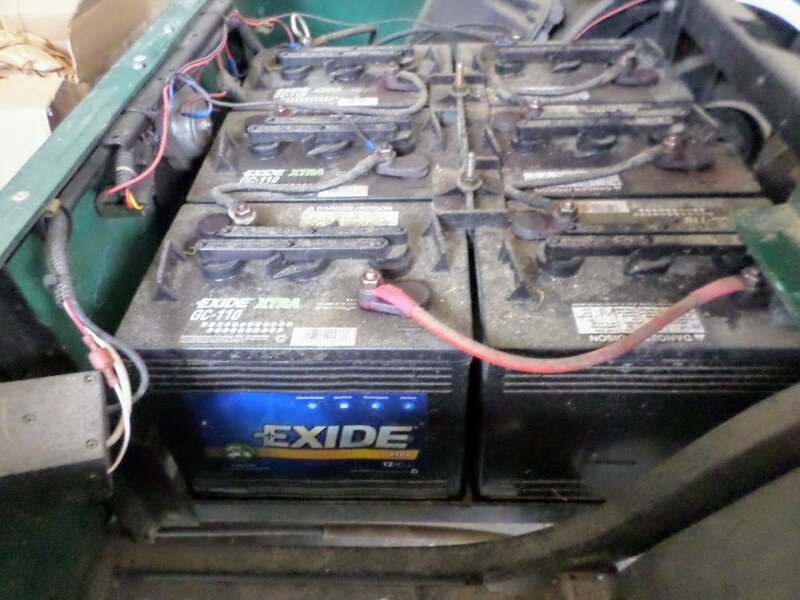 Replacing golf cart batteries is one of the most expensive costs of owning an electric golf cart. The prices on these batteries go up almost every year. It can cost from $550 - $600 installed. So many people wonder if they can save some money and replace them with used golf cart batteries.